This Pentek EPM-20 carbon block filter cartridge reduces fine sediment and chlorine taste and odour in residential and commercial drinking water. 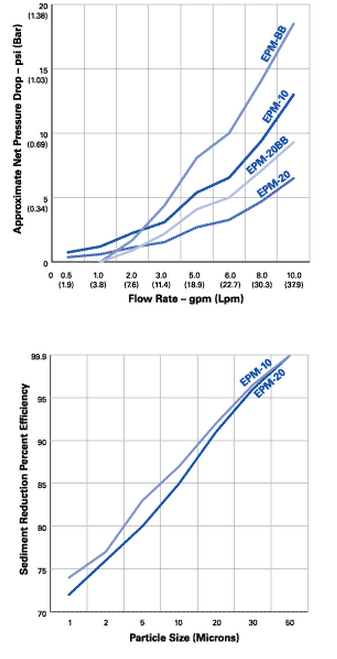 It has a nominal (85%) filtration rating of 10 microns. 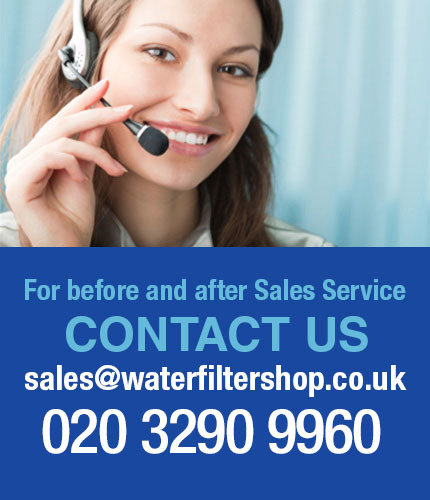 The filter will reduce free available chlorine (FAC) at 2 parts per million (ppm) by at least 90% in up to 6,000 gallons at a flow rate of 2 gallons per minute (gpm). he nitrile butadiene rubber (Buna-N) gaskets seal the cartridge against the housing. The cartridge has an initial pressure drop of 1.0 pounds per square inch (psi) at a flow rate of 2 gallons per minute (gpm), and operates over a temperature range of 40 to 180 degrees F (4.4 to 82.2 degrees C). 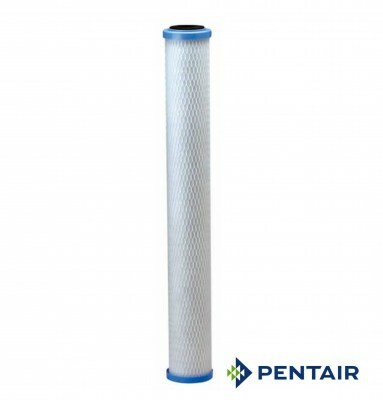 This carbon block filter cartridge meets National Sanitation Foundation/American National Standards Institute (NSF/ANSI) standard 42 for quality assurance, and is used for purification of residential and commercial drinking water. Being of mined bituminous carbon with a medium mesh structure, the EP is excellent fora wide variety of industrial applications. Like the EPM range, EPs are also manufactured from FDA compliant materials.